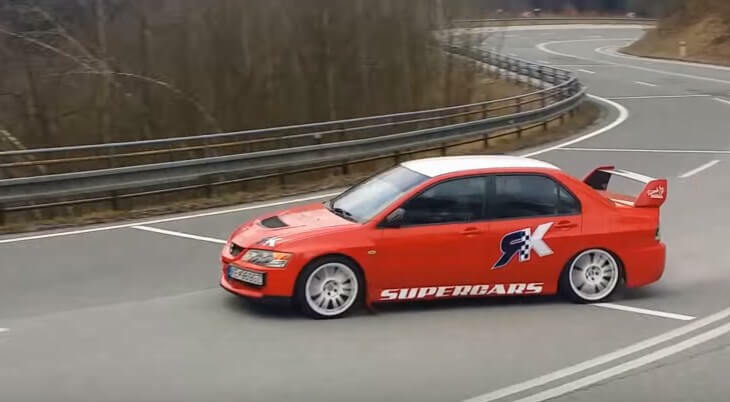 Mitsubishi Lancer Evolution - 800 HP drifting uphill! Mitsubishi Lancer Evolution taken on a public road for some sideways action! If you think that you have seen amazing drifting performance that’s unimaginable, wait until you see this beast. Meet this Mitsubishi Lancer Evo. Tuned by RK Racing Development. Yes, it’s their piece of art. RK Racing Development was established after many years of hard work and effort put into modification and development of cars. These people have always been enthusiastic about the topic of rides and driving. Thus, they’ve always worked on improving their own cars. Finally, it was time for them to step up and broaden their service to present their talents. Check out what they’ve done! 1600 HP Formula offroad can’t be stopped by difficult terrain! Long downhill bike wheelie takes the cake – Stunt Rider Columbia!